Housing - Fair, Safe, Affordable: What Makes Inclusive and Thriving Communities and How Can We Help Promote Them? 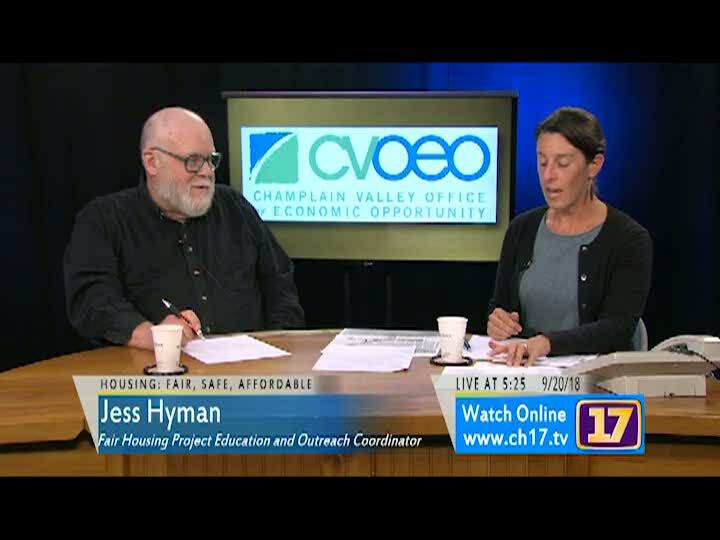 Ted Wimpey is joined by Fair Housing Project Education and Outreach Coordinator Jess Hyman to explain and discuss the statewide education, outreach, and awareness campaign called "Thriving Communities – Building a Vibrant Inclusive Vermont," which the Fair Housing Project (FHP) of CVOEO is coordinating. This campaign is largely funded by the U.S. Department of Housing and Urban Development and includes ten Vermont organizations including the FHP. They discuss drawing connections across the state between inclusive communities, cultural vibrancy, and affirmatively furthering fair housing, economic and business development, and expansion.